D'Ancona says "Mr Osborne understands that Tory tax policy needs to be set in a completely new context. The question he poses is not "How can I make my rich friends richer?" (which is what the electorate presently thinks the Tories mean) or "What would Hayek say?" (which is how many Tory ideologues approach the problem), but "How can Britain prosper in a ferociously competitive global economy?" He obviously is not aware that Slovakian flat tax policy was developed by its Hayek Institute. In fact, the flat tax policies have been developed and promoted with great success by the Hayekian and Friedmanite ideologues in Eastern Europe. Here it is the Hayekian Adam Smith Institute that is leading the campaign. Get your facts right D'Ancona! I am not yet convinced of the case for a flat tax. Simply thinking about it brings back thoughts of the Community Charge. This is what the average voter will think back to. So if a case is to be made, it must be so good as to persuade the average voter that it is necessary. But James it is exactly the sort of policy that George Osborne should be looking at.If he can make a persuasive case -great.If not-no harm done.Osborne comes across as a realist and I'm confident that with him with the Treasury brief we will not go into an election with an economic policy we have no confidence in ourselves. This is side-splittingly funny: the Slimester in favour of a flat tax! Anyone who remembers sitting in on Treasury teams meetings in the year before the election remembers full well what Boy George had to say about a flat tax then. Maybe Howard F will spill the beans to the press. Poor old Georgie: "please, please, please let me stay as shadow chancelllor ......" Is there anyone other than George who thinks either Ken or DD will keep him in place? The shortest lived shadow Brown has had to face yet (and if it wasn't for Francis, the wost). Who are you ex-CCHQ?And what are you talking about? George Osborne has only had his current brief for five minutes so he hasn't had time to be the 'worst' at anything. "George Osborne has only had his current brief for five minutes so he hasn't had time to be the 'worst' at anything." He'd have to be pretty bad to plumb the depths Francis Maude did! I really can't remember anything that Francis did. Ex-CCHQ has a point Malcolm. Osborne has held a Treasury brief since his appointment as Shadow Chief Secretary. Ex-CCHQ appears to be saying that Osborne opposed the flat tax before the election. The Lib Dems are also examining flat tax - is the reason for his "conversion"? We should be told. Does he? He has made an unstubstantiated claim using most unfortunate language.I'll wait with interest to see if he posts again with any evidence. Malcolm, I agree that the language was unfortunate. Judging by your posts, we both favour debate over personal abuse. Ex-CCHQ must offer more evidence to back up his claims. Malcolm, I believe that Francis Maude signed the Maastricht Treaty! Did he.Well there were a lot of people who voted for that treaty who I liked and respected.I'm really not sure what to make of Mr Maude.Obviously I disagree with him totally about restricting Conservative party democracy.Also I read all sorts of rumours about him plotting against IDS in the press which if true does him no credit at all.But as a minister I really can't remember anything about him,good,bad or indifferent. On Tax Credits, Gordon has proved to be adept at implementing grandiose plans without thinking them through properly (without going into minute detail, the Tax Credit system is better suited to the USA, where he discovered it under Clinton, , than Britain for differing demographical and social reasons). To be fair he is also adept at implementing small changes that have grandiose results, such as taxing pension funds just as the pension issue was becoming a problem and the equities markets were slumping. In its place, we have tax relief on second homes, just as the BoE struggles to control house prices. Link the interest rate rises that they had to use to do this and we quickly see just how in debt people are. Spare cash vanishes and high street spending dries up. Enter tax relief on second homes, and watch this space for further house price increases and more interest rate rises, just in time for winter and the energy price increases. Who would have thought that a history student from Edinburgh could give himself such lofty status as that he awarded himself. Anyway, Gordon bashing is my favourite pastime. Flat tax rates are a bit of a mine field, and I would prefer George to spend more time pointing out to the electorate just how poor their Chancellor and future Prime Minister really is, instead of distracting the debate away from him. I have been saying this for some time now, the Shadow Treasury team need to do much much better. The problem of flat rate taxes, is that unless they are initially linked to reduced public spending, they would inevitably lead to middle income earners bearing more of the tax burden. As these are precisely the voters the Conservatives have been losing, it's hard to see how taxing them more would bring them back into the fold. The flat tax is nothing like the community charge. The anger about the CC was that a person earning £10k pa was to pay the same amount of money as a person earning £100k pa not a percentage. The positive benefit of the CC was every member of the household working would contribute to local taxation and services instead of just the head of the house (which is what the Lib Dems argued for their local income tax proposals). The flat tax in my understanding is that we pay the same % on every pound we earn over a minimum basic. When 20% is discussed this I guess doesn't include national insurance and if it did it would be more like a flat tax of 33% on every £1, the basic thinking behind this is that people would declare their income properly if they didn't feel unfairly penalised by a 41% tax rate or 50% as the Lib Dems wanted. He's been a sensible Shadow Chancellor, although can't see him being better than Willetts would be. Perhaps more experience in a different brief would be good for him at this stage in his career. "The lesson here is a simple one. The Conservatives will be credible only if and when the promise of lower taxes is embedded in a plausible programme to limit the growth of government while protecting cherished public services. Tax cuts, in other words, come at the end of the story rather than the beginning. Mr Clarke understands that. Does his party?" David Willetts has already delivered a detailed analysis as to why the Flat Tax scheme is fraught with difficulties. "Sorry, Lord Saatchi. You're wrong"
I wonder if George read this before embarking on his own Flat Tax journey? The story is not very joined-up. The Shadow Treasury team need to integrate Taxation into the wider vision for the Country, as Phillip Stephens points out. To begin with the Flat Tax issue seems both premature and distracting the issue away from current problems created by Gordon Brown wrt both taxation levels, low pay rebates (Tax Credits), the removal of them from the accounting figures for benefits spending, lack of savings, increasing private debt levels and his ill thought out scheme for stakeholder pensions. There is plenty of low hanging fruit for George, so why isn’t he going for it? You could have a flat tax together with "Friedmanite" flat negative income tax to help the poor. George Osborne's consideration of Flat Taxes should be welcomed. Flat Taxes can mean many things, and the impact depends hugely on the personal allowance and determined rate, but the overall impact of moving at least towards a flatter system, ie a lower tax burden, better incentives for work and enterprise, and tax cuts for all - are key Tory principles, and ones that won elections from opposition in 1970 and 1979 (check the literature). 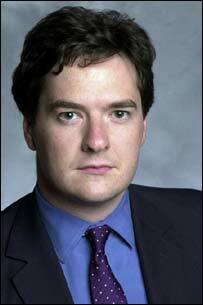 As for George's Tax Commission, lets hope that this is well managed and direct and does not become a Talking shop. It shouldn't take too much to realise that income tax bites at too low a level in the UK, that our corporation tax rate is too high, that Pension Funds should not be taxed on profits earned in companies they own, and that Inheritance Tax should either be abolished, or made harder to avoid and have a far higher threshold. Much of the Tax Credit fiasco could have been avoided had personal allowances risen with inflation - instead by keeping them low Brown has brought 4.8 million more people into the tax charge, then added the complexity of tax credits on top. A higher personal allowance rewards work and enterprise, rather than creating a system that encourages continuous living on means-tested benefits. A flatter tax system would also better reward enterprise - its daft that 3.5 million are now paying tax at the marginal rate of 41% - why should they work harder only for the state to get the benefit of their graft. The Conservative Party should also look at restoring Tax Credits for dividends paid to Pension Funds, Brown's steal has the double whammy of hitting savings just when they needed to increase them, plus encourages investment by way of debt, rather than equity finance - the sort of market distortion that needs to go. Rather than be too pedantic, as many Conservatives are about the why's and wherefore's of a Flat Tax system, lets be pleased that for the first time in ages there is a drive to having a truly Conservative tax policy, akin to those so electorally popular in prior election victories. :- Things are generally very good, we can afford nice food, a nice holiday and a nice house, the kids are healthy, their school is great and Dad has a good job. :- Blair was wrong in Iraq, but when he goes head to head with the opposition he seems more intelligent and makes a lot of sense, the other leaders look angry, but don’t make sense and Mr Blair runs rings round them. The Conservative leader look stupid. :- I don’t think the Tories like ordinary people, and if in power they will do bad things to us, my family and my kids. Labour have always said that they will care for ordinary people like us, and to date they have tried their best. I’m not going to take a chance on having a Tory government, last time they wrecked the NHS, took free milk away from kids, cheated us, lined their own pockets and perjured their daughters. No I’m going to vote Labour, they may not be perfect, but the Tories would be much worse. The above is not fantasy, its what a mother actually told me about why she won’t vote Tory. Cutting Taxes do not win elections. As I have said above in this post, and as Phillip Stephens has said in the FT, they come at the end of the story, not the beginning. Until Mary thinks we will care for her family more than Labour, she will vote Labour, again and again and again. I wonder if Mary AN Other worked part time for the public sector with husband employed at the local hospital because this is a very rose tinted view of the modern NHS post Blair. Where I live our NHS hospital has gone from a pitiful 2* to 1* because of delays in treatment at A&E, caused in the main through government policies allowing Doctors to opt-out of on-call cover all together, removing the local drop in centre and weekend service. The phone is constantly engaged in the morning and the surgery is very busy because apparently Doctors aren't lining up to work in our area. A relative died age 60 waiting for test results for three weeks because of holidays. I could go on but you get the gist. The Tories were offering vouchers to go to another hospital - we wanted our local services back and an improved local hospital even when you've got private medical in an emergency you get the LOCAL A&E. Parents that work can't ferry their children around to schools out of area and when the buses are expensive and you've got three children you can't afford bus fares to get to schools half an hour away at a transport cost of £33 per week (3 x £11) so the people I spoke to weren't interested in school vouchers either, they wanted a grammar school in our local area. Labour don't care about her family, they've dumbed down education trying out their social experiments on schools. She can't get a doctor out to her children in the evening she has to run them herself to A&E even if it means getting her other children out of bed. Her children now face expensive university fees unless they live in Wales or Scotland which she won't feel the pinch on for three years. Keeping her husbands tax allowance low has clawed back more of his income and she's probably mortgaged up to the hilt to fund their lifestyle, but if she wants to bury her head in the sand and you honestly believe this is because of one man 'Blair' and the Tories lost because of one man I disagree. If Nana promises and gives the kids all the sweets they want, plus cinema, plus games, toys, staying up late, don't the kids love it but Nana soon can't fund it and gets fed up of the hyper-activity. But WHY do huge sections of the electorate, like Mary, still believe Tony and Gordon? WHY don't they trust the Conservatives, even though we would be better for them, their families and the nation than Labour? These are the questions we need to ask ourselves, because once we hit on the solution to this problem, we are as good as in Government. Because in 1992 one John Major said "elect me today and the recovery begins tomorrow." James, I sometimes think you live in a parrallel universe, it is one that looks like this one, and sounds like this one, but in your one the Right Wingers wear halo's, Major wasn't undermined by them and the Electorate will one day wake up and stop voting for centrist parties and dream of a 51st State here in Britain.